George Mattson helps add value to Star Mountain’s underlying operating companies including assisting with identification of strategic add-on acquisitions and other M&A and financing related matters. He has over 25 years of experience running industry practices, advising C-level executives and boards of directors, negotiating transactions, leading deal teams and principal investing in both large and small businesses. As a former investment banker at Goldman Sachs who co-headed the Global Industrials Group, Mr. Mattson brings significant industry and finance expertise, as well as a keen understanding of the best practices employed by many successful growth companies. 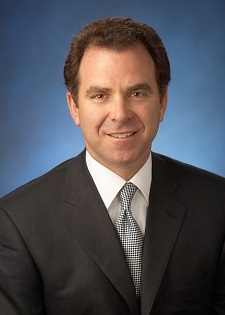 Since 2012, Mr. Mattson has been a private investor and currently serves on the Board of Directors of Delta Air Lines, Inc. (NYSE: DAL) and Air France KLM. Mr. Mattson is Chairman of Wilbanks Energy Logistics LLC and also serves as Chairman of Volunteers of America – Greater New York, Inc. Mr. Mattson is a principal investor in Tropic Ocean Airways as well as in several other U.S. small businesses. From 1994 through 2012, Mr. Mattson was with Goldman Sachs where he rose to become a partner and co-head of the Global Industrials Group. While at Goldman Sachs, he was on the Investment Banking Division Operating Committee, the Investment Banking Division Client and Business Standards Committee, the Global Recruiting Council, and co-headed recruiting for the Investment Banking Division. Before Goldman Sachs, Mr. Mattson was an investment banker at Credit Suisse First Boston in New York. Prior to his career as an investor and investment banker, Mr. Mattson spent 6 years at IBM. Mr. Mattson holds a Bachelor of Science degree in electrical engineering from Duke University and a Masters of Business Administration from the Wharton School at the University of Pennsylvania. Mr. Mattson serves as a trustee and board member of the Boys’ Club of New York and as a board member of the Pratt School of Engineering at Duke University.